People across Europe and other parts of the world gazed with awe skywards on Friday to see a rare type of solar eclipse, which has coincided with other celestial events such as the spring equinox and a supermoon. Only those in parts of the Artic and the north of Europe were lucky enough to witness the eclipse in its totality. But millions were able to see a partial eclipse in other parts of Europe, North Africa and West Asia. The rare coincidence of the solar eclipse and the vernal equinox is not expected to occur until the year 2034. The supermoon is a phenomenon, which sees the moon’s position closer to Earth than usual. However, some viewers of the rare celestial show were disappointed as clouds obscured the sky over Torshavn, the capital of the Faroe Islands. "It was overcast, there was rain and wind. You could see nothing. It was a disappointment for everybody," Gabor Lantos, a Hungarian tourist, told Reuters. "Some tourists were so irritated, they argued with tour operators, demanding their money back." Others were more thrilled despite the cloudy weather. 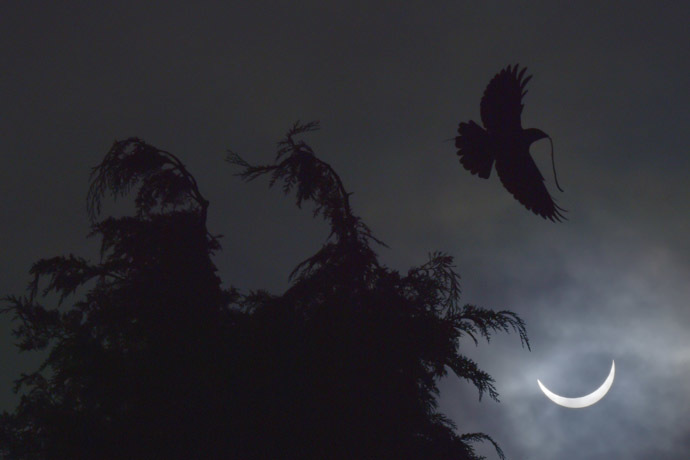 "It was worth coming here from Australia, probably not as good as the 2012 eclipse we saw in Cairns, but still worth coming," said Australian visitor Michael Tonks. Street lights came on automatically as the sky blackened. Astronomers and onlookers also gathered on Norway’s Svalbard archipelago to watch the eclipse: the sun became almost completely obscured there. "We couldn't ask for more. It was stunning," Ronny Brunvoll, head of the Visit Svalbard organization told Reuters. The event gave scientists a rare opportunity to carry out tests of the solar atmosphere, the corona, the temperature of which is about twice as hot as the sun. People started booking hotel accommodation at the archipelago in 2008 to see the supermoon eclipse, forcing some tourists to stay in tents despite running the risk of a surprise rendezvous with polar bears. In places like London and Paris, observers didn’t get much of a sense of darkness, and Patrick Rocher of the IMCCE astronomy institute in France explained that it’s because the sun “still brightens up (the sky) a lot even at 20 percent,” as cited by AFP. What’s more, clouds covered a big part of Northern Europe, so only a few spots experienced the event in full, one being Berlin. 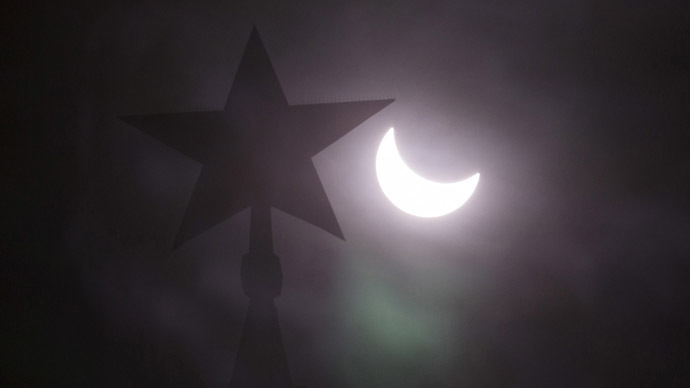 In Moscow, where the weather was clear, people took to the streets to watch the partial eclipse and could later see the footage of the full eclipse on a big screen in the city center, as well as in the metro by connecting to the system’s WiFi. The next total solar eclipse visible from Europe is due on August 12, 2026.